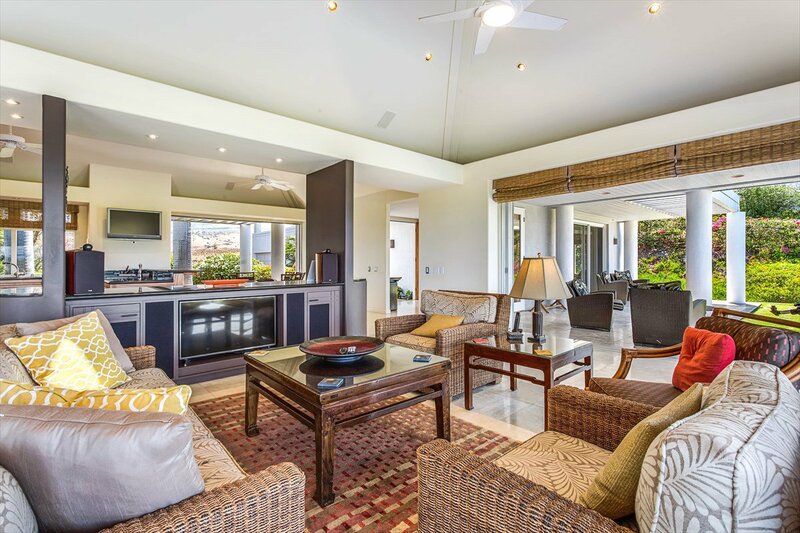 Mauna Kea Resort - Exclusive, quiet, tucked away in paradise! 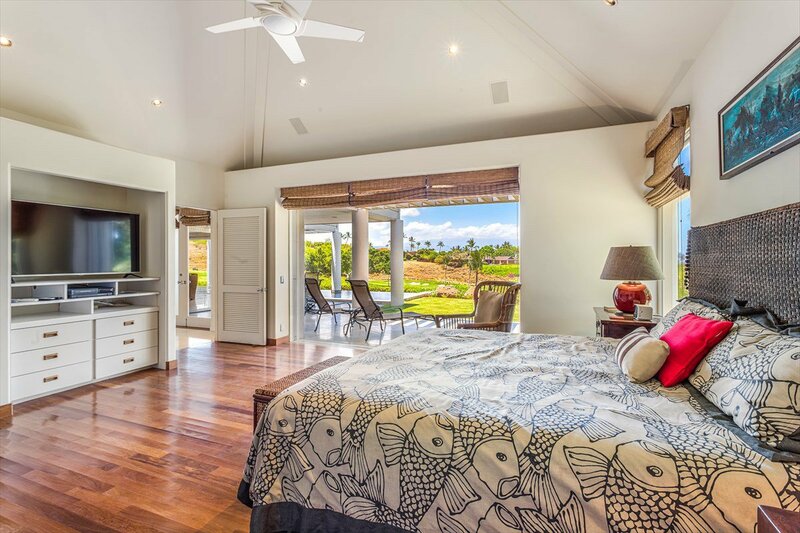 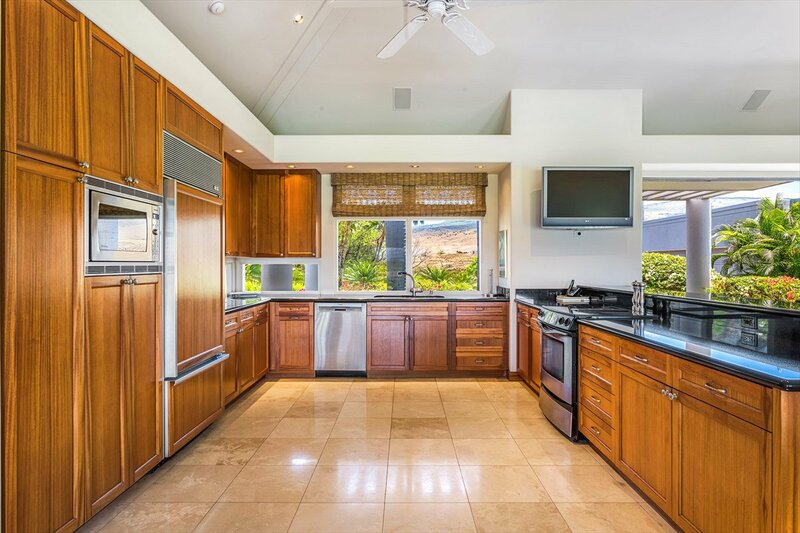 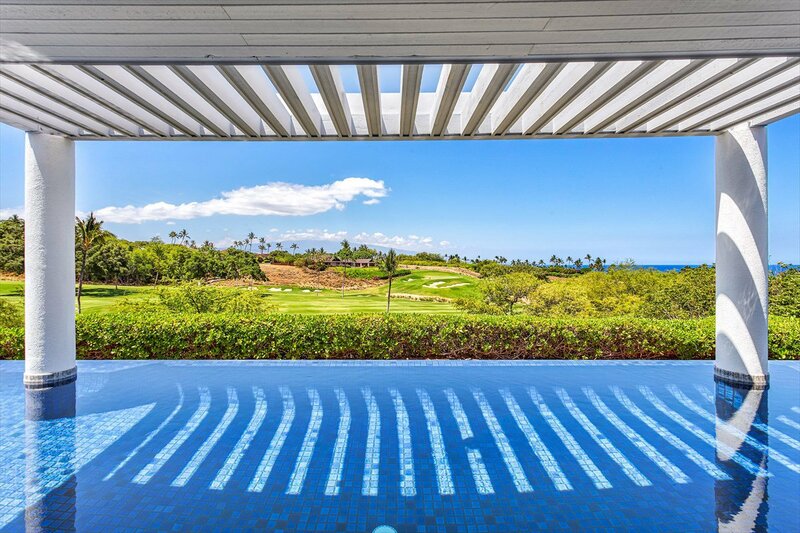 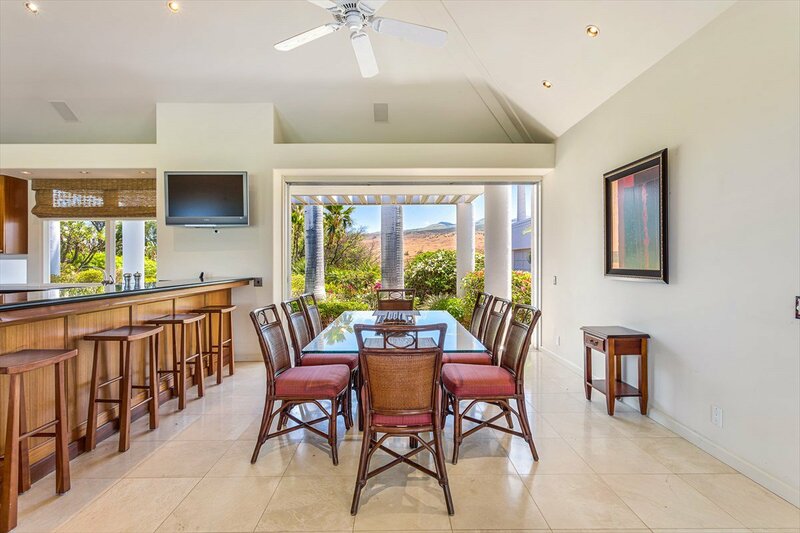 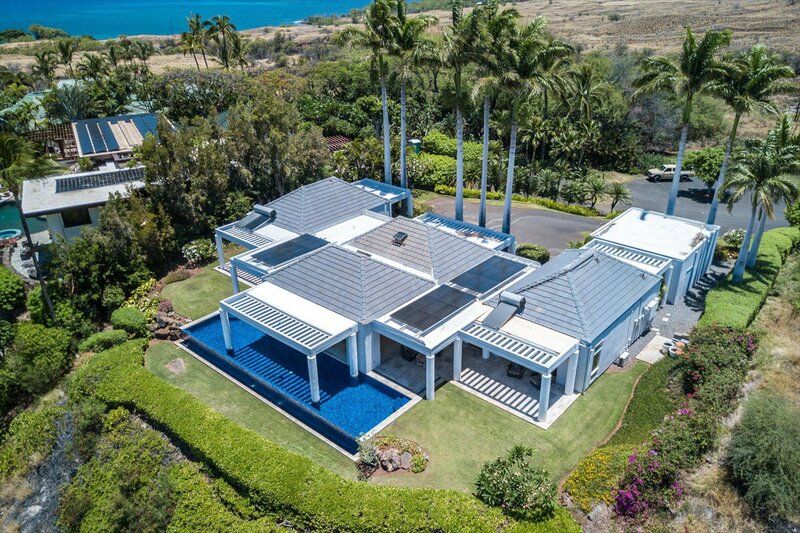 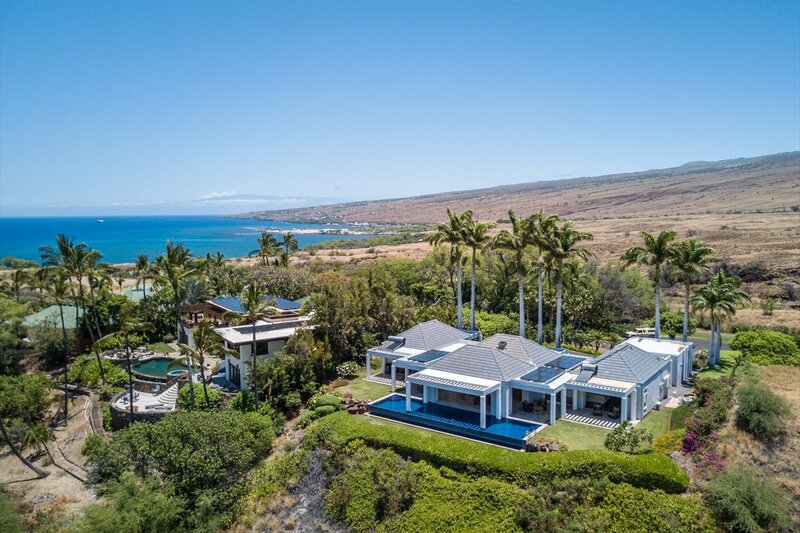 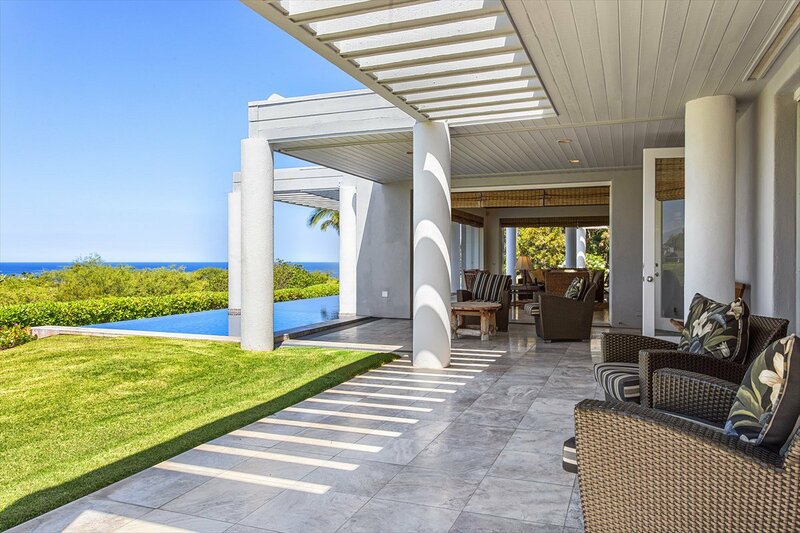 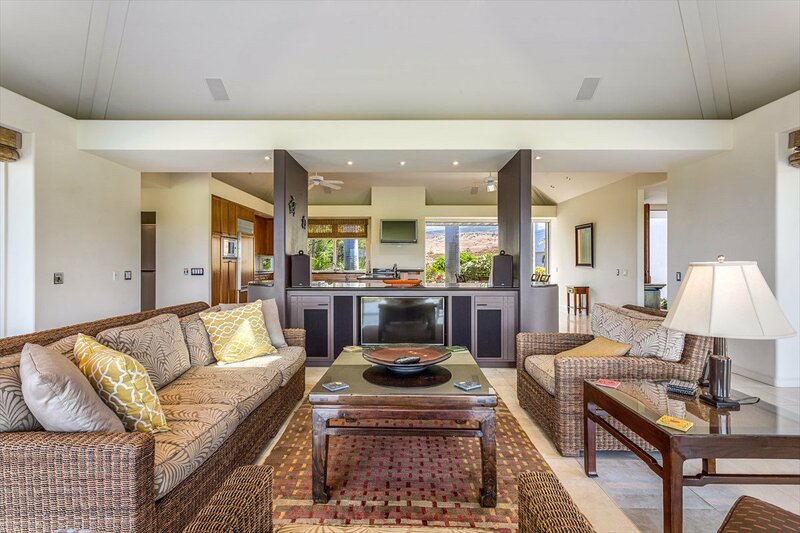 Luxurious Resort Villa perched directly on the 5th & 6th holes of the world famous Mauna Kea Golf Course with spectacular ocean and sunset views. 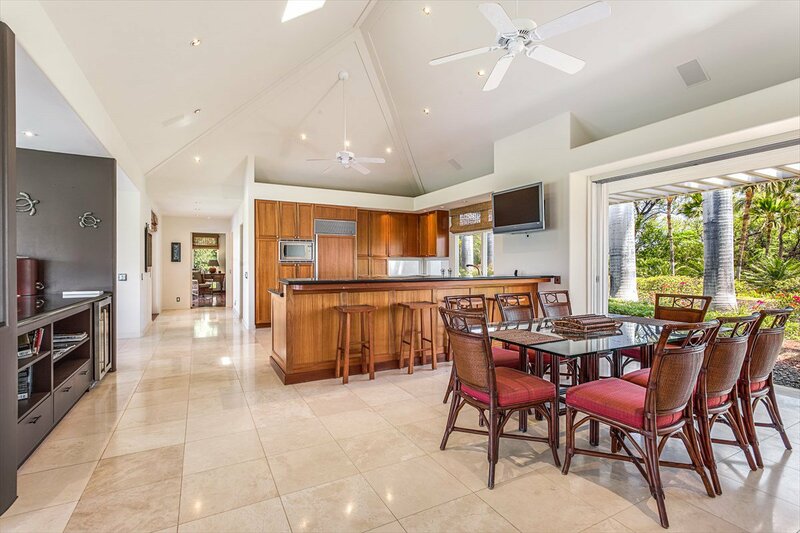 This home located in an exclusive, private community away from the hustle in a beautiful peaceful setting. 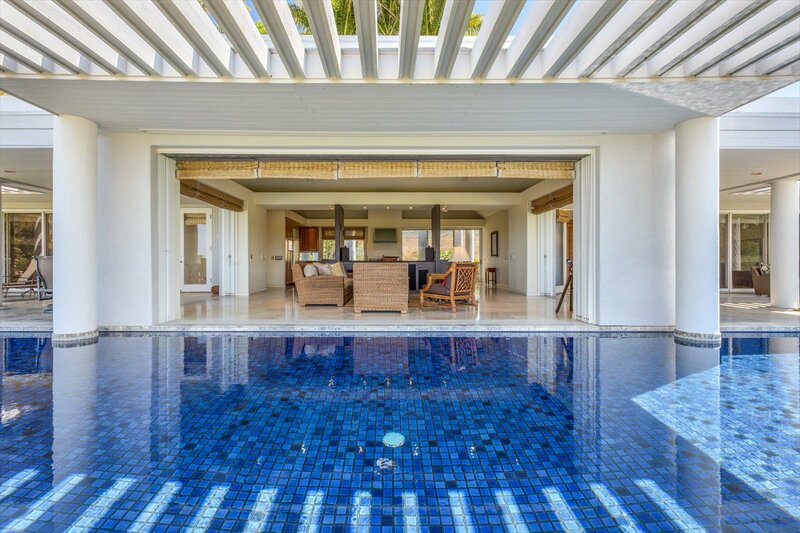 This Luxury Villa is exactly what you have been looking for. 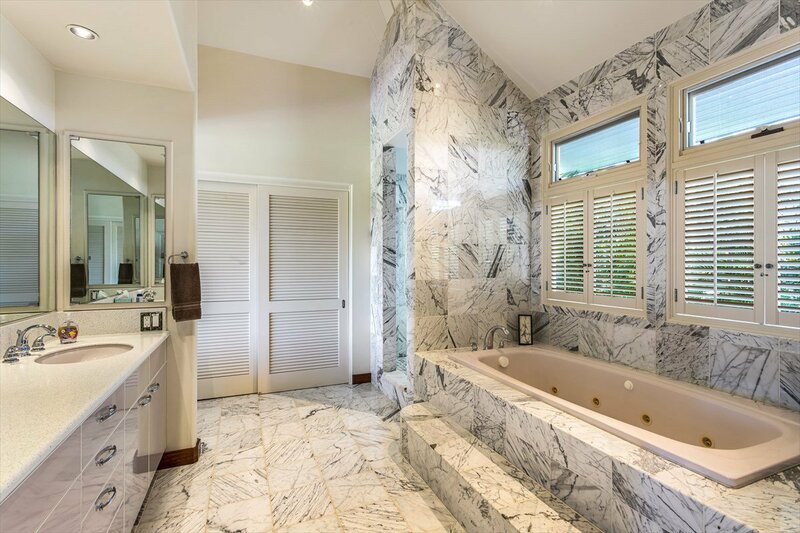 Skillfully crafted with high quality ceramic tile and Italian stone inside and out and glorious solid Cumaru wood floors. 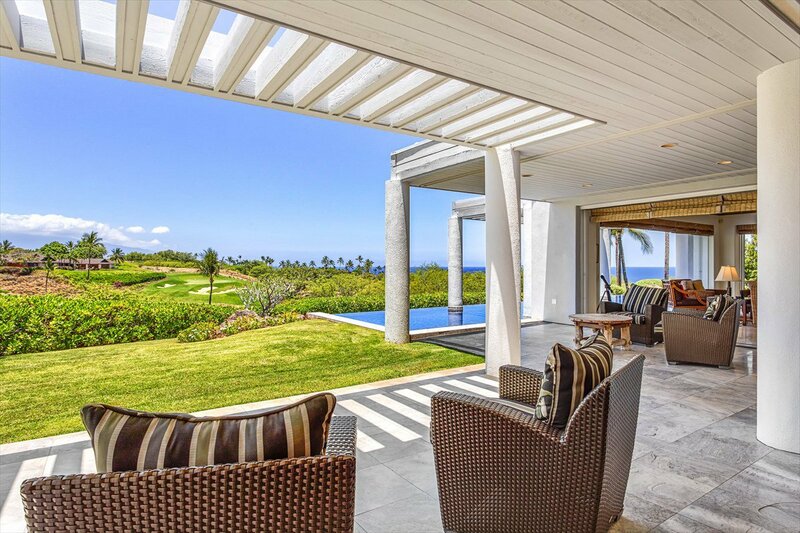 Beautifully landscaped to achieve privacy in the back yard while also maintaining the views. 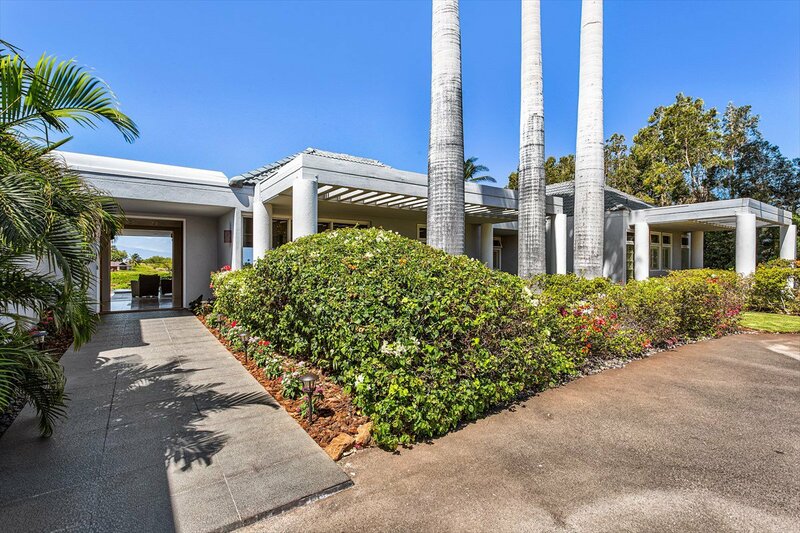 There is plenty of yard space and private gardens surrounding the house. 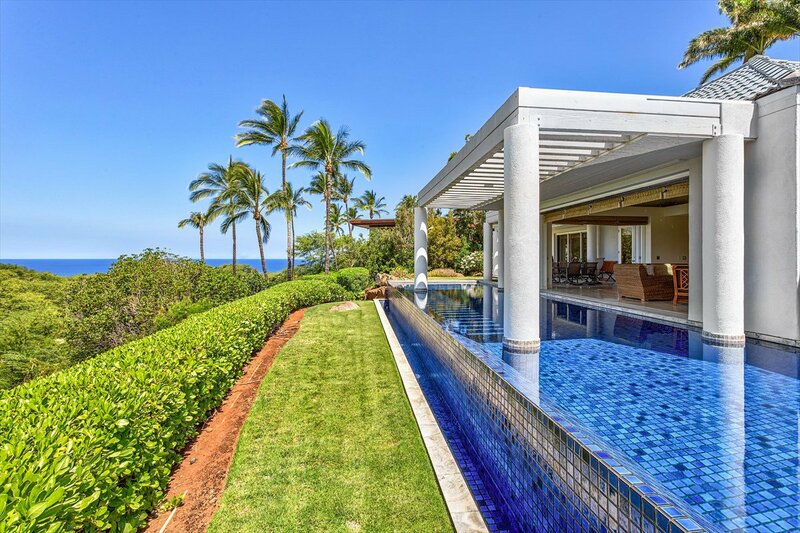 Unique designed infinity lap pool flows right up to the house. 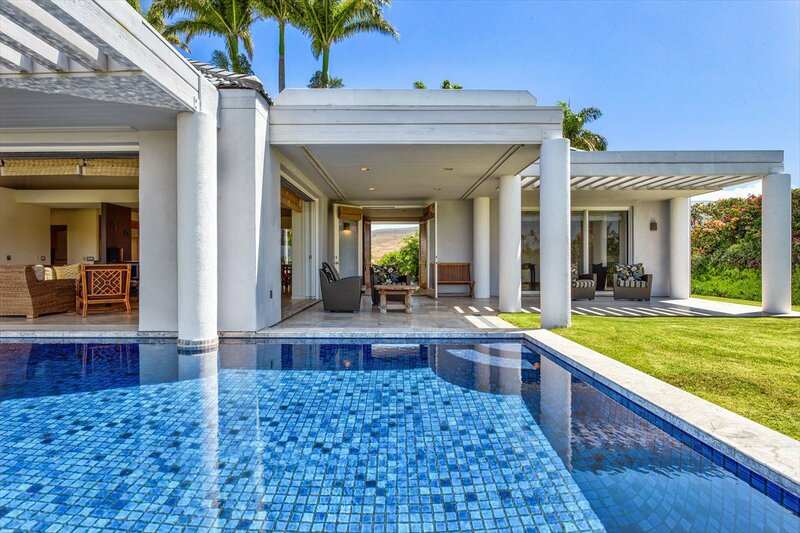 Pool is attached to the home so you can literally open the lanai doors and jump right in. 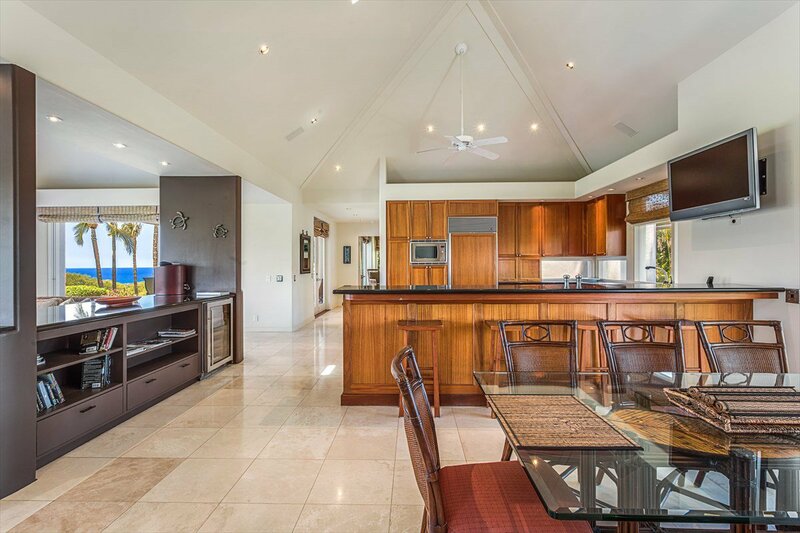 Open spacious design with living, dining and kitchen centrally located. 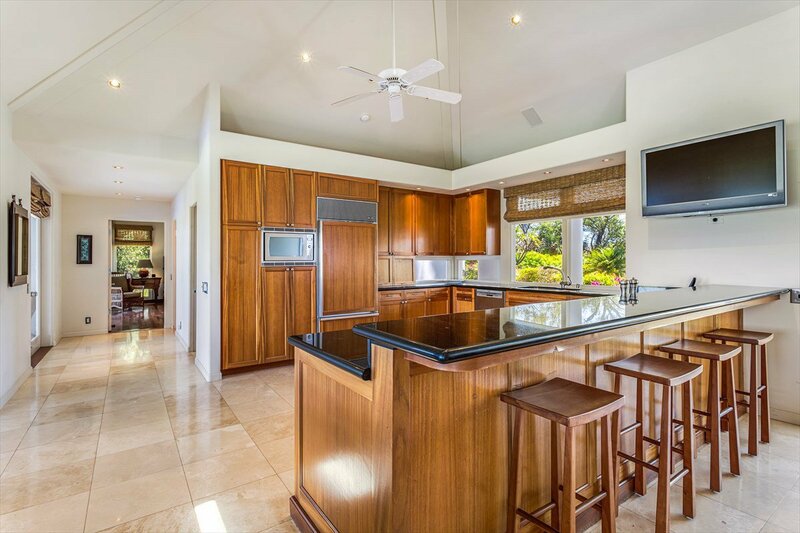 Gourmet kitchen is fully equipped with everything you need including a sit-in breakfast bar and wine cooler. 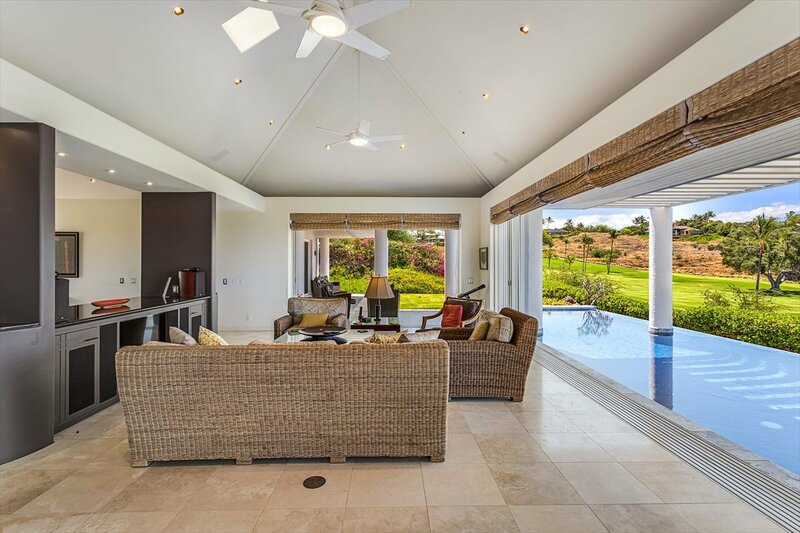 There is plenty of natural light and the open floor plan is perfect for the family to enjoy tropical Hawaiian indoor-outdoor living. 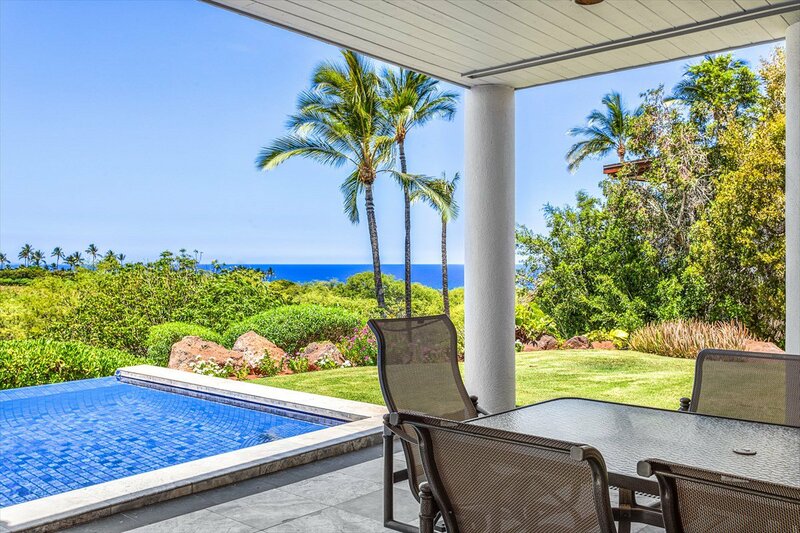 Spectacular, ocean and sunset views from the pool, the lanai and most places in the house. 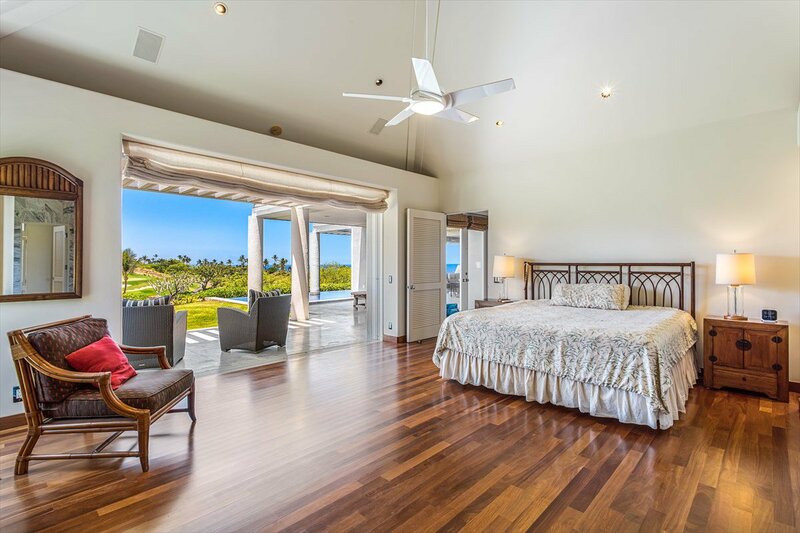 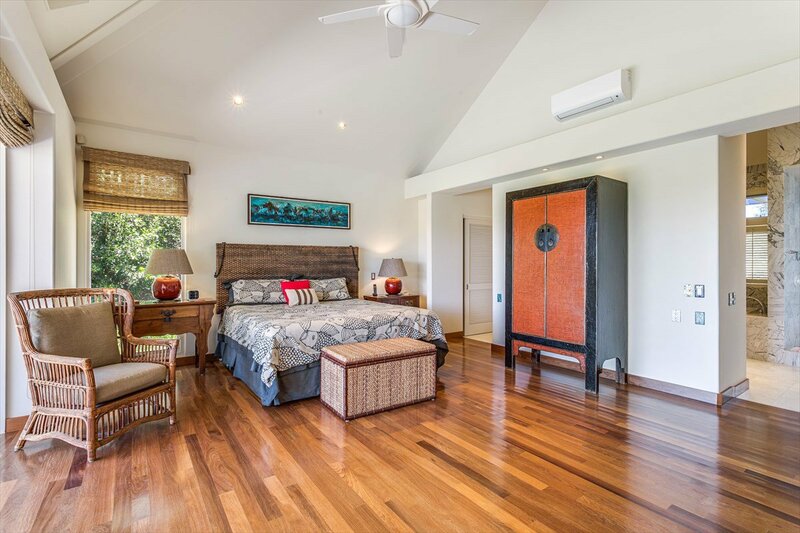 Double master bedrooms enjoy their own private lanai with ocean views. 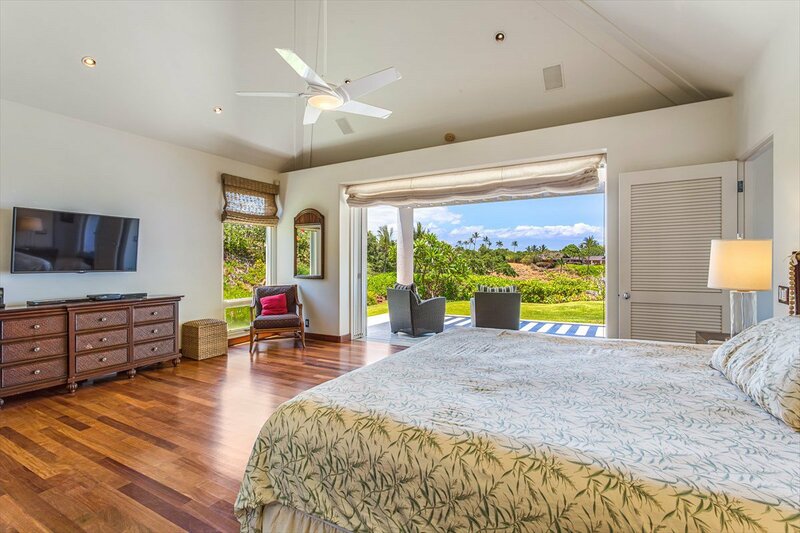 This Villa comes complete with an energy efficient photo voltaic system with net metering that lowers Electric bill significantly. 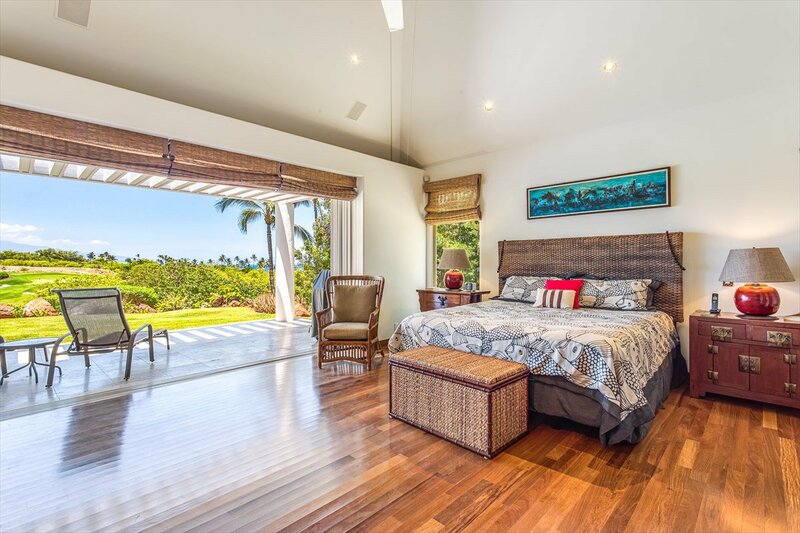 This is a sensible choice for your primary residence or vacation home. 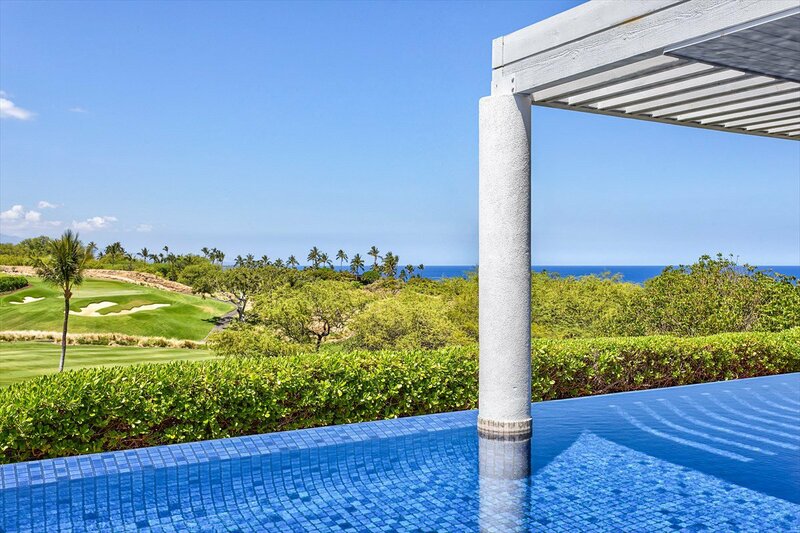 Mauna Kea Resort is world class luxury resort featuring 18 hole Championship Golf Course, Restaurants, Beaches and Luxury Amenities. 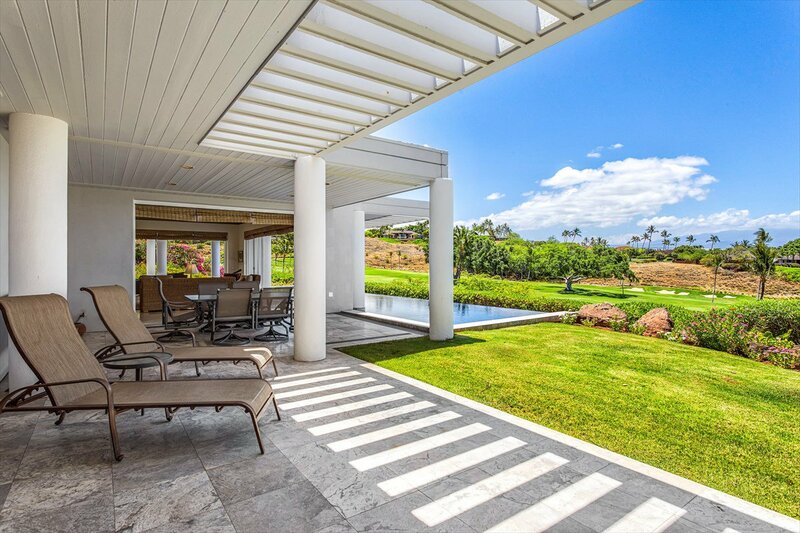 Hale Lokahi means House of Harmony and Balance. 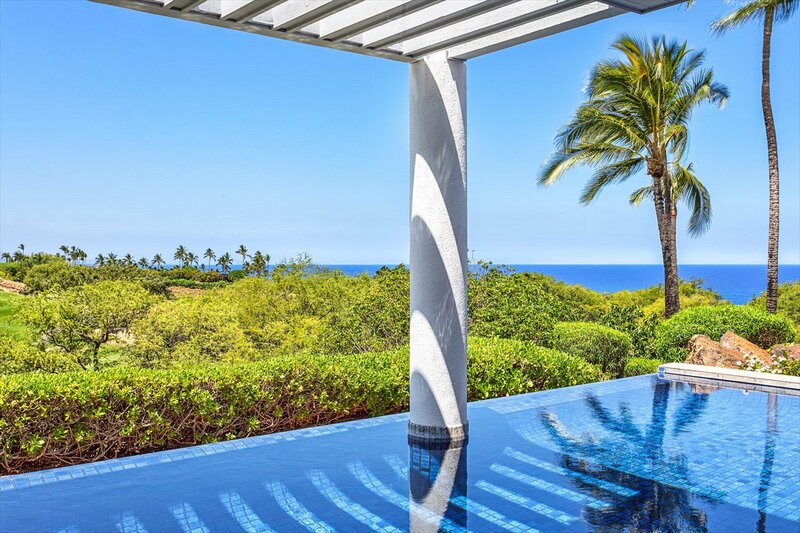 Look no further, find your peace right here in this beautiful, quiet and exclusive paradise in Mauna Kea Resort. 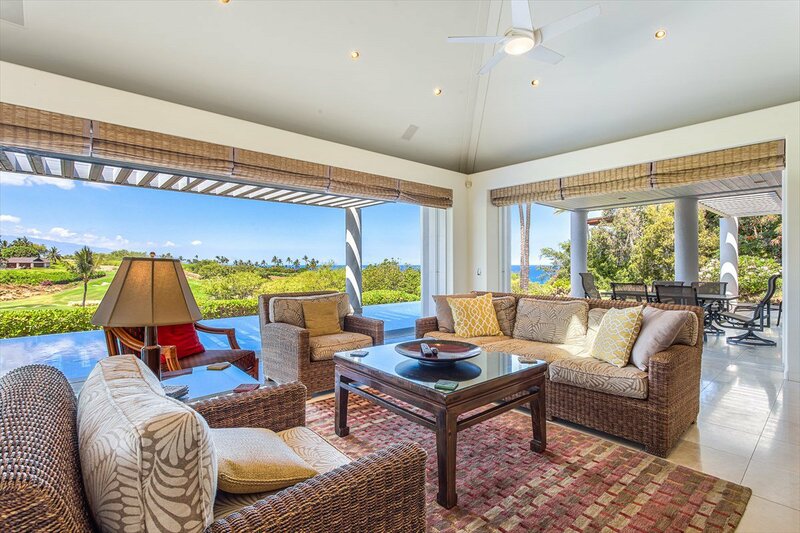 Extra bonus: Hale Lokahi is currently operating as a successful vacation rental. 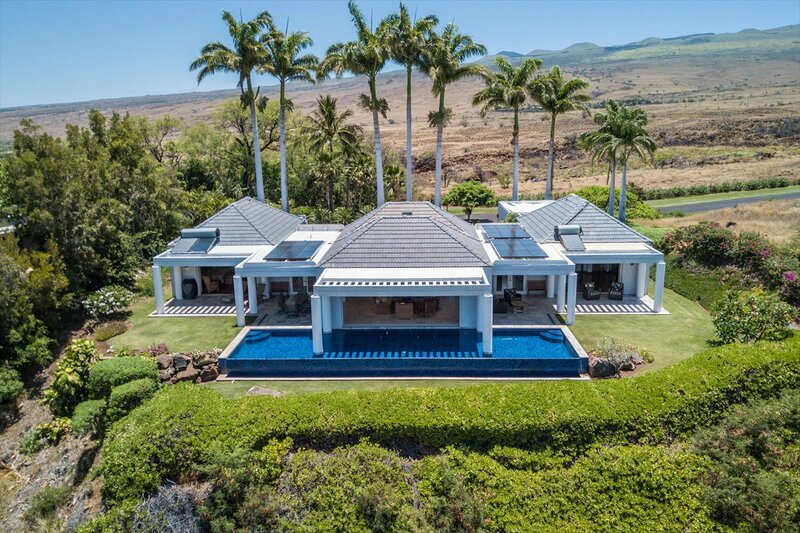 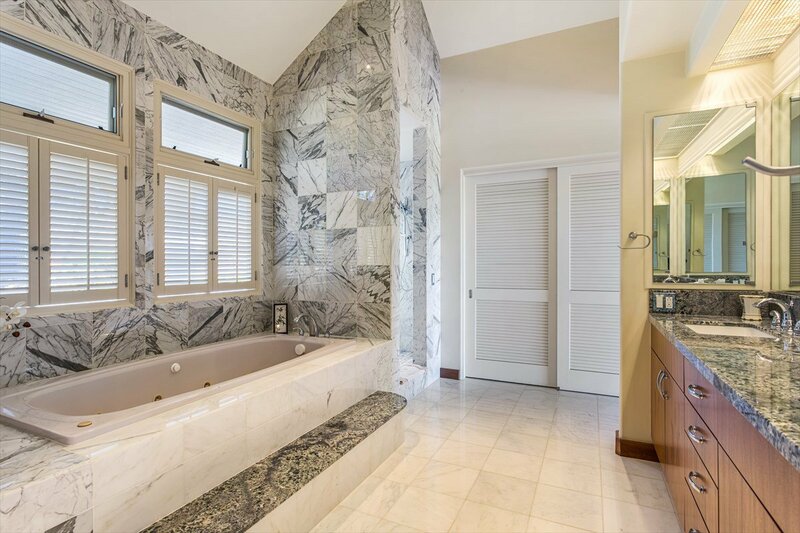 Listing courtesy of Hawaii Luxury Real Estate.